University of Alabama School of Law, LL.M. University of Mississippi School of Law, J.D. Douglas Mains specializes in government relations and regulatory law, with a particular emphasis on providing strategic advice to clients regarding public policy, legislation, and regulatory issues. After serving as a Senior Policy Advisor and Deputy Legal Counsel to the Speaker of the Michigan House of Representatives, Mr. Mains has extensive contacts throughout the Capitol and is particularly adept at helping clients positively interact with state agencies, elected officials, and executive and legislative staff. Mr. Mains also has extensive experience as a litigation attorney, representing a wide array of clients in state and federal courts, as well as in administrative proceedings. Moreover, Mr. Mains is also at the forefront of Michigan’s evolving medical marijuana law, and is frequently asked to speak on legislative and legal developments in that industry. Served as primary legal and policy advisor to the House Committees on Commerce, Criminal Justice, Judiciary, and Military and Veterans' Affairs and House Appropriations Subcommittees on Corrections, Judiciary, Military and Veteran's Affairs, and State Police. 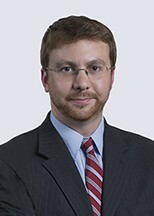 Douglas E. Mains is quoted in Crain’s Detroit Business article "Federal laws, state regulations to stunt pot investment"
Douglas E. Mains is quoted in Associated Press article "Michigan eyed as bellwether for legal pot in Midwest"
Douglas E. Mains is quoted in Detroit News article "When is marijuana legal in Michigan? What to know about passage of Proposal 1"